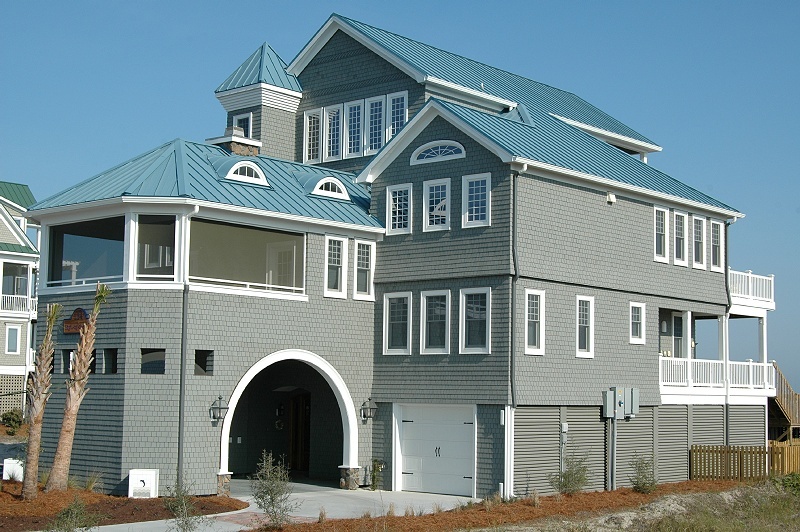 Idyll-by-the-Sea Two is located in North Topsail Beach on Topsail Island in North Carolina with 8 bedrooms, 7 baths and sleeps 20. Featuring a fourth floor spa suite, four wood burning fireplaces, 6000 square feet of heated+cooled space, and over 5100 square feet of porches+decks+patio. 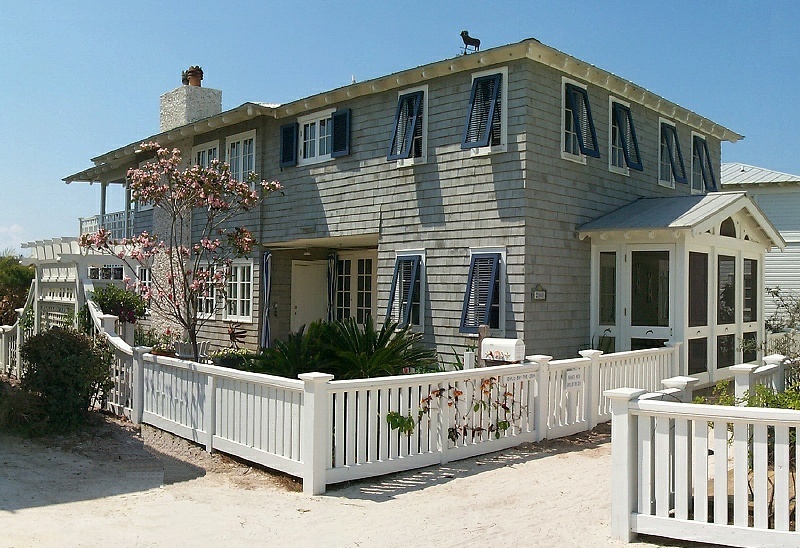 Idyll-by-the-Sea One was a four bedroom, four bath Gulf-front property located in the award-winning 'new urbanism' town of Seaside, Florida. No longer available for rentals.